Writer's Digest Books, 9781599631790, 373pp. The inspiration, stamina, and power to take charge of your writing life every day. 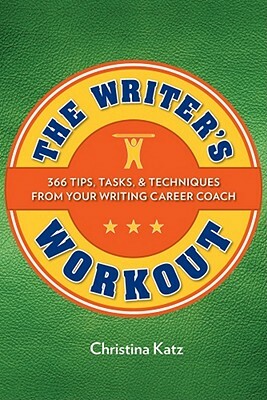 Get the daily jolt of energy your writing life needs from The Writer's Workout. Inside you ll find manageable, no-nonsense techniques for every aspect of your writing career from getting organized to connecting with your audience to building relationships. Veteran writing coach Christina Katz draws on her knowledge from more than a decade in the business to give you tips, exercises, and insider strategies to build your skills. Make your writing as strong and powerful as possible. Pitch and sell your work at every opportunity. Overcome rejection to come back better than ever. Promote your work and build an audience. Learn how to balance your creative life with your daily life. With The Writer's Workout, you ll develop skill, strength, and confidence everything you need to build a robust, unique writing career that's built to last. Bonus online exclusive: Download a free motivational poster to keep you moving as your build your writing career at writersdigest.com/writers-workout. Christina Katz has been teaching writers to cultivate thriving writing careers for the past decade. She is the author of Get Known Before the Book Deal and Writer Mama, both from Writer s Digest Books. In addition to writing books and articles, Christina publishes a weekly e-zine, The Prosperous Writer, hosts The Northwest Author Series, and coaches a hundred writers a year. Her website is www.christinakatz.com. She lives in Wilsonville, Oregon."